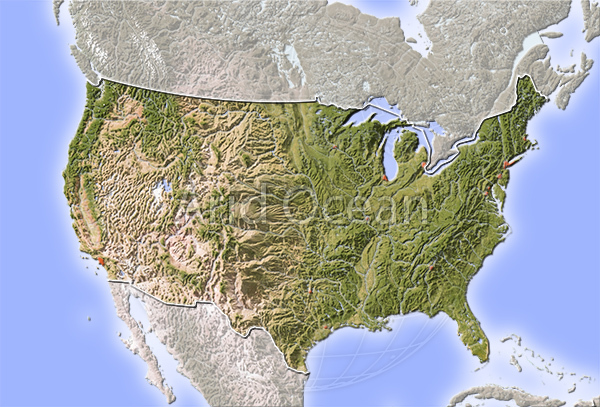 United States, shaded relief map. 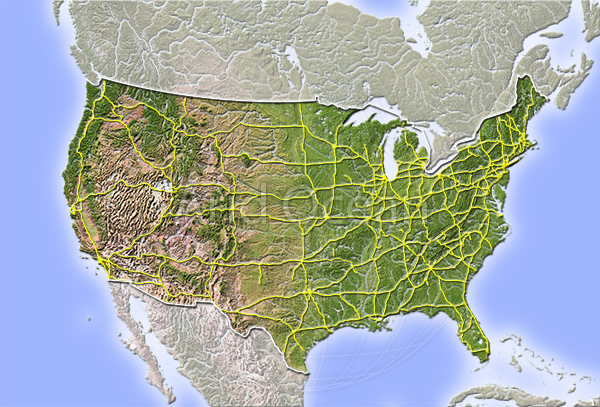 USA, shaded relief map with interstate highways. 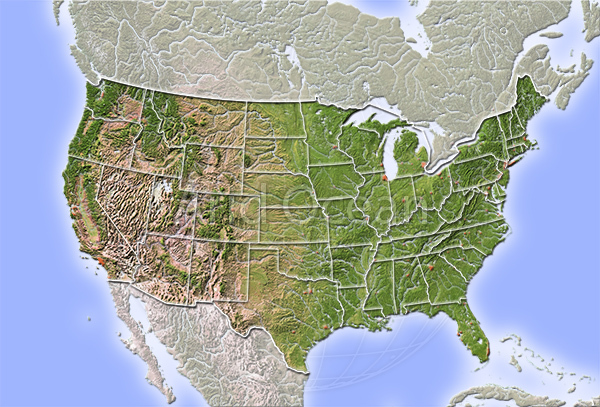 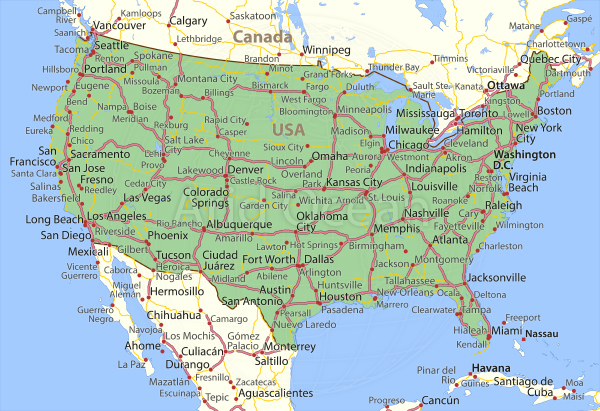 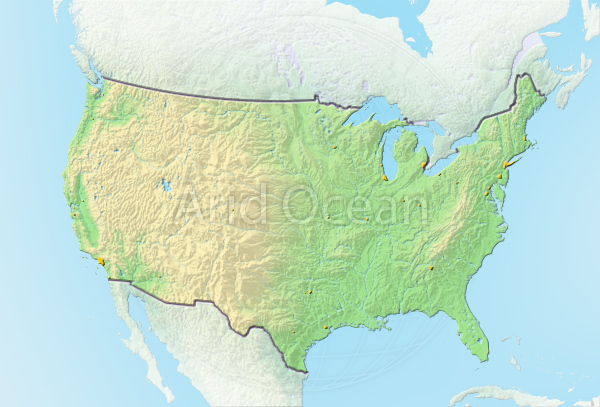 USA, shaded relief map with state borders.